Detective Nick Scott is called to the scene of a fatal house fire at a remote holiday cottage. 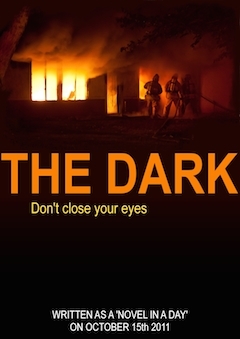 With the only survivor in the psychiatric wing of the local hospital, Nick faces a struggle to uncover what actually happened before the fire broke out. All of the versions were compiled by KB using the Mac version of Scrivener. You can download the Scrivener project (which includes all the chapter briefs sent out to participants) and compile formats that were used to generate these files below. Please note that, although the Scrivener project can be opened in either the Mac or Windows versions, the compile format presets are Mac-only.